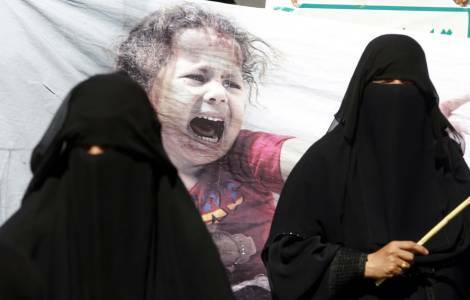 Naham (Agenzia Fides) - The war in Yemen began in 2014 and has intensified since the military coalition led by Riad in favor of the president, Abdo Rabu Mansur Hadi intervened. Since March 2015, the Country has recorded the deaths of approximately 1,400 children and 2,140 others injured as a result of the war. This is what UNICEF report, which also launches an alarm regarding the impossibility of using the 2000 schools in the country because they have been destroyed or severely damaged, or because used as shelters for the displaced or for military reasons.